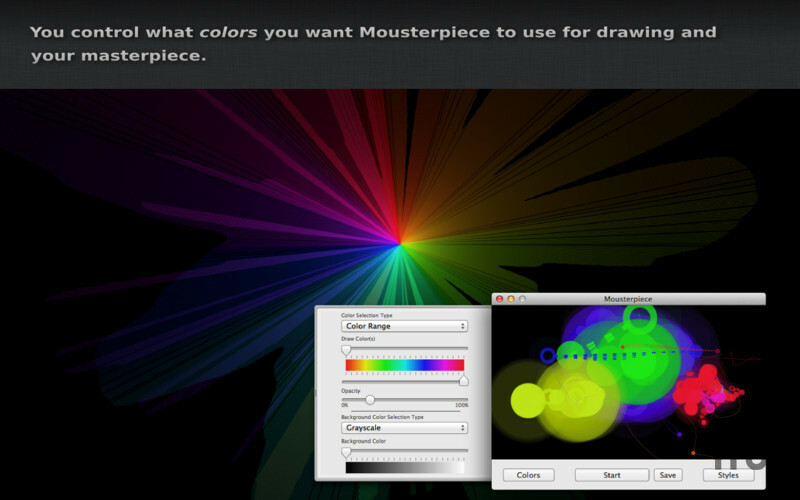 Simplified art creation tool for your mouse. Is there a better alternative to Mousterpiece? 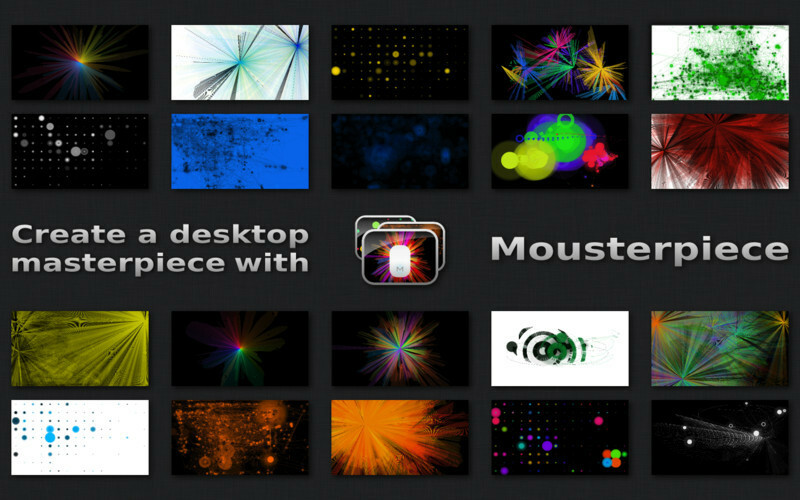 Is Mousterpiece really the best app in Arts category? Will Mousterpiece work good on macOS 10.13.4? 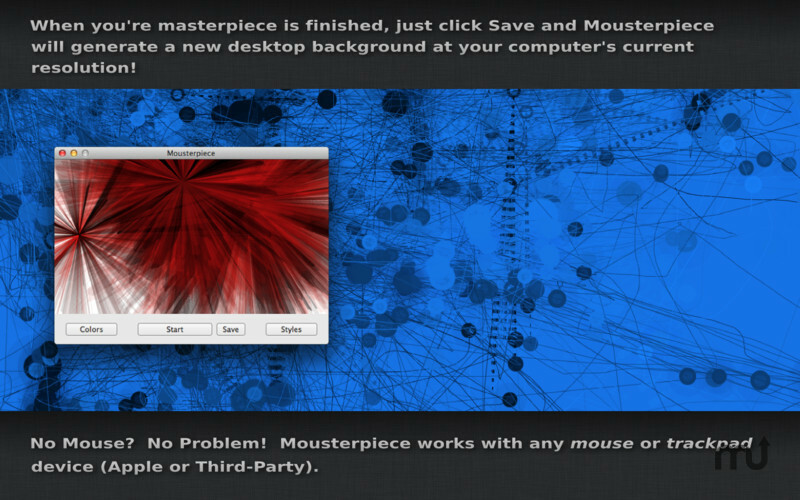 Mousterpiece allows you to create a desktop masterpiece while you work! 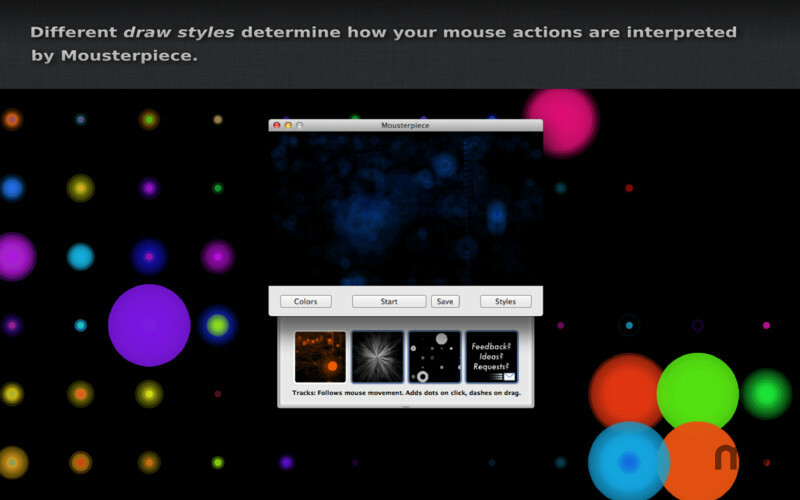 As you work on your Mac, Mousterpiece runs in the background, listening for real-time data about your mouse movements and actions (clicks, drags, and scrolls). This information is used to create a unique masterpiece! Once you're done working, you can save your creation as a PNG, which is automatically sized to your desktop resolution so it can be used as a desktop background! Don't have a mouse? No problem! Mousterpiece works great with any kind of track pad as well! 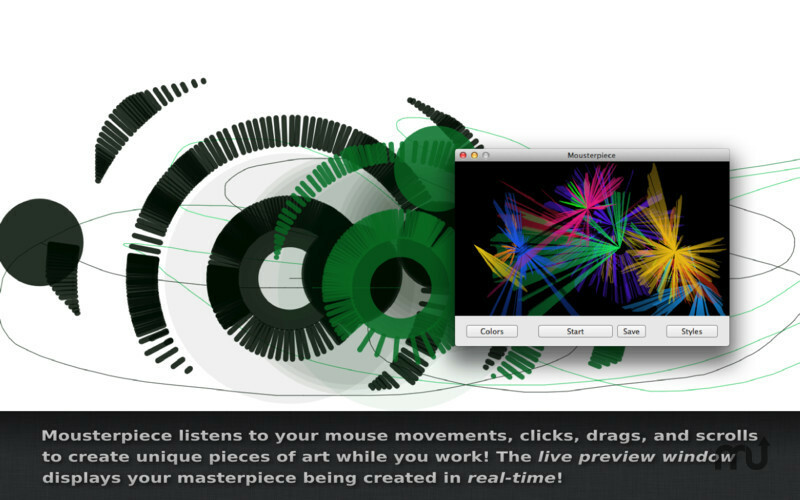 Create works of art while you use your Mac. Mousterpiece needs a review. Be the first to review this app and get the discussion started! Mousterpiece needs a rating. Be the first to rate this app and get the discussion started! The live preview window shows the progress of your masterpiece as you create it. 3 different draw styles, with more on the way! Fully customizable color options for the draw colors and the background color. Works with any mouse or track pad device (Apple and third-party devices). Save finished product as a PNG. Dimensions automatically scale to screen resolution, perfect for making custom desktop backgrounds.